The Marion Phelps Award is presented each year by QAHN to an outstanding volunteer in the heritage field. This year, we are pleased to announce that the recipient of this award is Michael Cooper. Michael is the co-president of the Fairbairn Heritage Centre in Wakefield, which opens in 2012. He has worked “hands on” (literally) with hammer and nails, and, along with other committee members, has overseen the project and met with local and regional politicians to raise awareness and funds. The Fairbairn house, which dates to the 1860s, was the home of William Fairbairn, the founder of Wakefield. As a heritage centre serving the Gatineau Valley, the house will serve as a meeting place for members of the community and visitors. It will offer exhibits, an archive, and space for workshops, school activities, and other events. It will also serve as a rest stop on the Trans-Canada Trail and a launching point for tours of the area. The story of the Fairbairn house, from its near destruction and its eventual restoration as a heritage centre through the efforts of community volunteers like Michael Cooper, is an inspiration to all heritage volunteers. Michael Cooper’s other volunteer activities include membership in the Gatineau Valley Historical Society. He has worked as a consultant for the Western Quebec School Board, and has sat on numerous committees of Quebec’s Ministry of Education, working tirelessly to promote Canadian and local history. 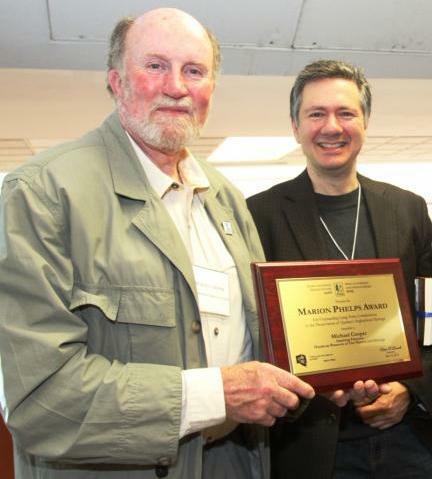 In 2000, Michael served on the steering committee that founded the Quebec Anglophone Heritage Network. For several years, he was a member of the QAHN board, including a stint as vice-president. QAHN salutes Michael for his past and ongoing efforts on behalf of heritage and history in Quebec.